Valve is removing the R8 and Negev from Competitive mode while they rebuild the weapons. They are also adding new features to communicate with your social networks as you play. Valve is also adding a physical item for you to purchase if you are a Five Year Veteran Coin holder. R8 Revolver – The firing delay has been reduced, but otherwise the weapon has the same high-powered damage. Negev – Received a more significant rework, receiving traits that promote suppressing the enemy. Inaccurate at first, the Negev’s shots will normalize. 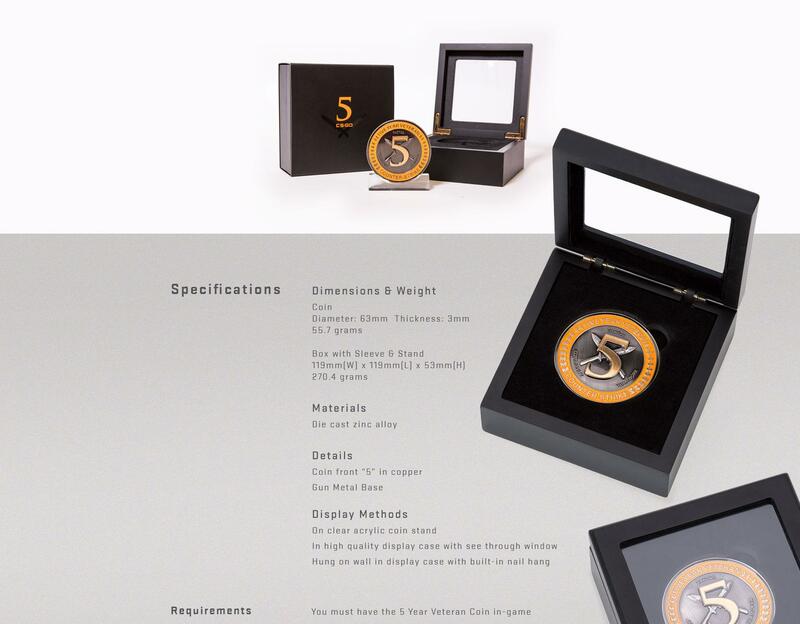 Collectors, if you’ve got the Five Year Veteran Coin in your inventory, you’re eligible to pre-order a physical version of the collectible coin! The Friends Panel has been updated to provide a bit more information about your friend requests, this also displays players you have had recent matches.